Really? 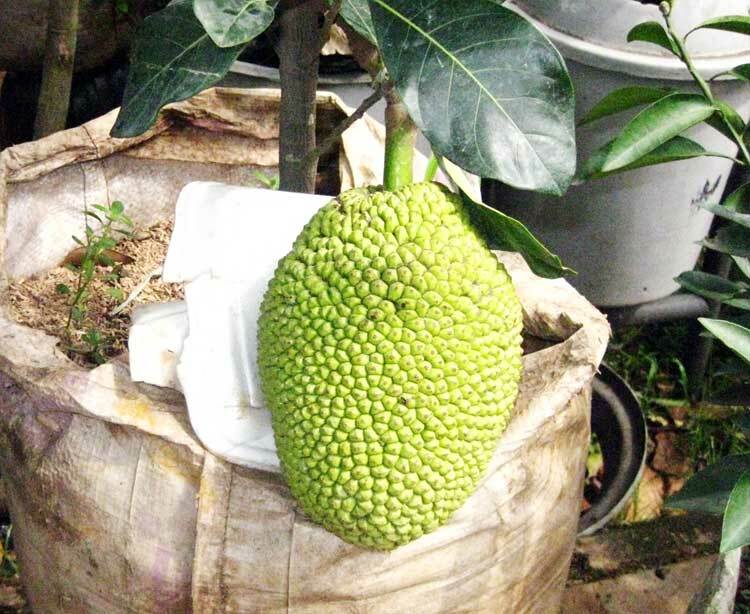 Is jackfruit not a true fruit? 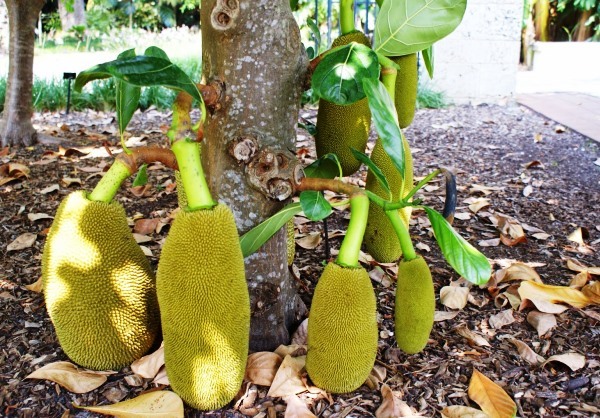 Yes, you read it right, Jackfruit is not a true fruit, it is a false fruit. 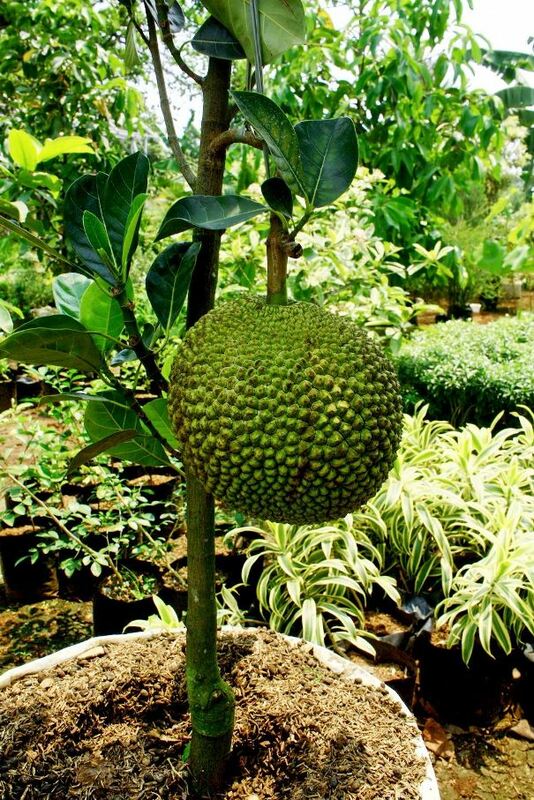 This false fruit is a bunch of approximately 100 to 500 true fruits. 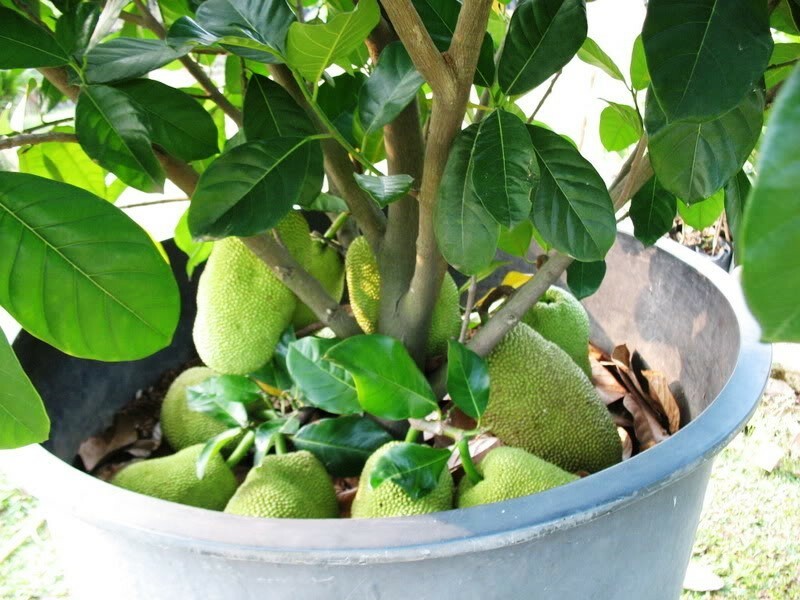 The fruits, which grow on the trunk or the main branch, are gigantic, ranging from 10 to 25 kg in weight depending on the cultivar and agro-climatic zone. 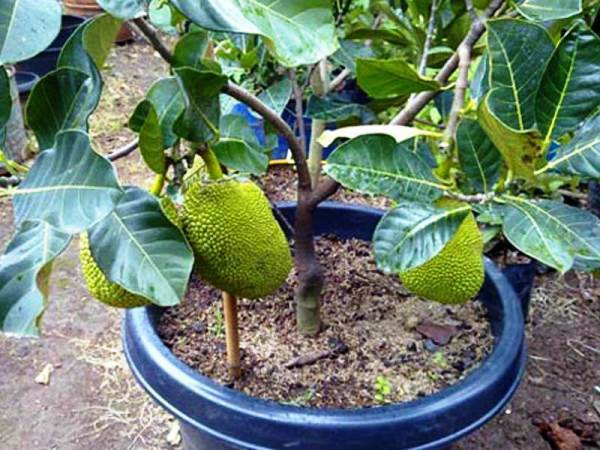 Jackfruit is a composite or aggregate or multiple fruits (syncarp). An aggregate fruit is a type of fruit which is formed by the fusion of multiple flowers in an inflorescence. Inside are the fruitlets, which are the true fruits composed of fleshy aril and the seed; aril is waxy, firm or soft, yellow, golden yellow to yellow-orange, sweet, aromatic. The perianth, which constitutes the major bulk of the fruit, comprises a central core, a seed-bearing region and the aril (together known as bulbs) and the outer layer in the form of a horny non-edible region. The juicy pulp of the ripe fruit is eaten fresh as dessert. The seeds are eaten cooked, roasted, or fried. Jams, beverages, candies, preserves, and dehydrated forms are other industrial uses for the jackfruit. 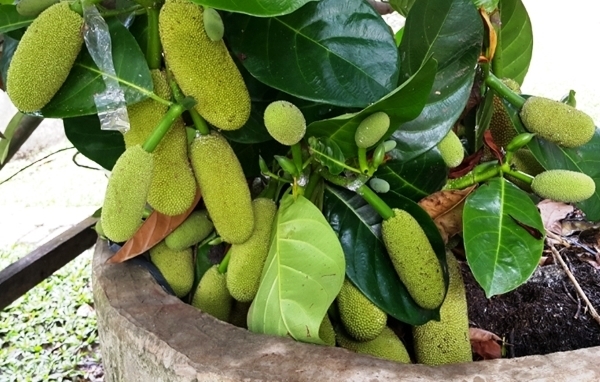 The fruit is popular and has various common names, including Katahal, Phanas, Gulabi, Champa Hazari, Singapore or Ceylon Jack, Kapa Benka, Muttam Varikha. lo, to be honest i actually didn’t know that! thanks for sharing! but that’s strange don’t you find it? 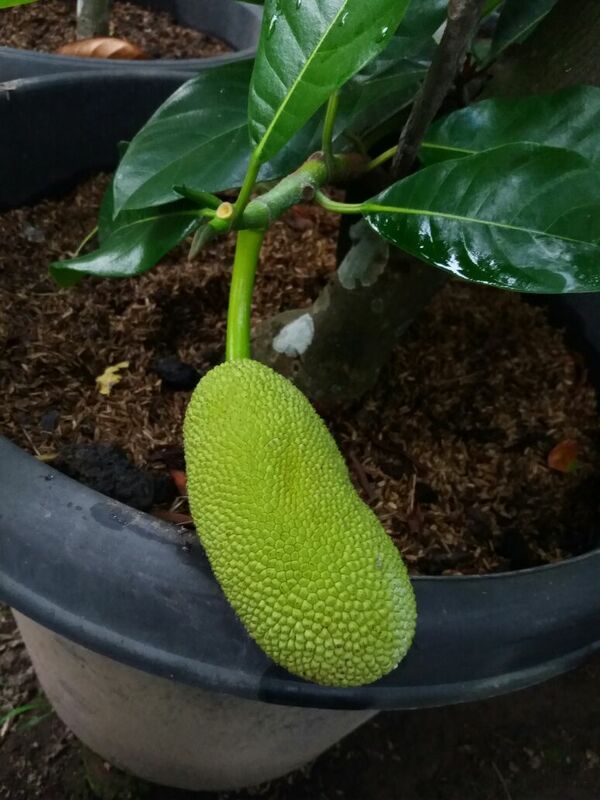 jackfruit is not a fruit, lol! Yes, it is strange but true! When i heard that i also was in a surprised shock!